All TY students participated in a Safe Driving course last week. The course consisted of a practical session in which they learnt various things ranging from how to change a tyre to the effects of being under the influence of alcohol when driving and did some driving. They also sat a mock theory test. Thanks to “Irish Driving School of excellence” for their work. On Wednesday 14th March TY 1 and TY4 had a retreat in St. Mels College. This was in conjunction with their Alpha course. Thanks to Ms. Bohan and Mr. Staunton for accompanying the students. 21 TY students involved in Young Social Innovators attended a speak-out in Ballinasloe on Wednesday March 14th. They spoke about their project on self esteem “Photo, Photo on my screen putting down my self esteem” before a panel of judges. Thanks to their mentor Ms. McGovern. They await to hear their results. Thanks to Mairead Casey who continues teaching sean nós dancing with all the TY’s. Ciaran Hanley, Dylan Coady and Shane Prior went to the Daycare Centre to help with serving dinners and to chat with the senior citizens. 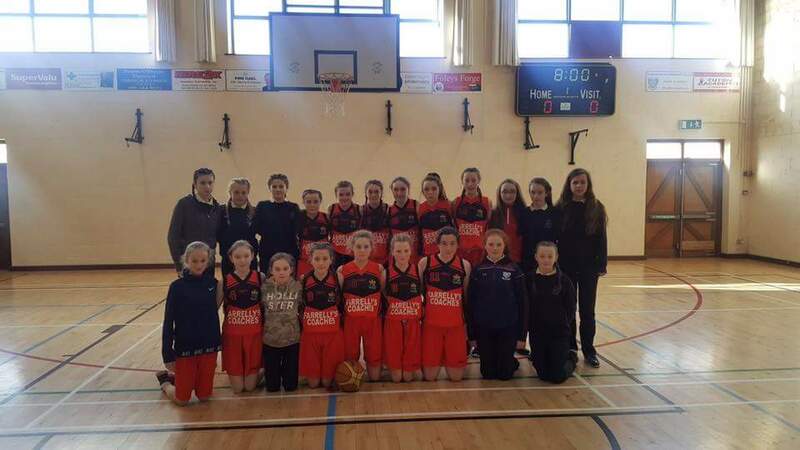 Congratulations to the first year girls’ basketball team and their coach Ms. Carr who beat Dunsaughlin in the regional Basketball semi-final last week. Well done to the 1st year Boys basketball team and their coach who beat play Dé Là Salle in their regional semi-final last Wednesday. Well done to the 1st year boys’ football team and their coaches Mr. Larkin and Mr. Kenny who beat Moyne last week in the Longford league. Bhíomar ag ceiliúradh seachtaine na Gaeilge an tseachtain seo chaite. Seo a leanas cuid de na himeachtaí a bhí ar siúl. Bhí Tráth na gceist ar siùl ar an Luain ag fiche chun a haon do na scolàirí ar fad. Bhí pop up Gaeltacht ar an Mháirt. Bhí Lá Glas ar an gCéadaoin. B'é buaicphoinnte an lae sin ná agallamh leis an leas phríomhoide. Bhí comortás an lae ar chlár digiteach na ndaltaī. Bhí seisiún ceoil ag am lóin. Ag deireadh an lae fogríodh buaiteoir an chomórtais postaeir. Is ár dteanga í. Bímis brodúil aisti. Deonaigh dom an suaimhneas, Glacadh leis na rudaí nach féidir liom athrú, Misneach na rudaí a athrú is féidir liom, Agus an gaois an difríocht a aithint.